The subscribed members are 55; 16 members are psychiatrists, 23 pulmonologists, 10 neurologists and 3 internists. Two of our members are psychologists and one member is a bioengineer. 2011, Dr. Dimitris Dikeos, Associate Professor of Psychiatry in the Athens Medical School was elected as the new president of the Society and Professor Constantin Soldatos was declared honorary president of the Society. The Board consists of Emmanouil Vagiakis (Vice President, Pulmonologist), Antigone Papavasileiou (Secretary, Neurologist), Costas Psarros (Treasurer, Psychiatrist), and the members-atlarge E. Daskalopoulou-Vlachogianni (Pulmonologist), S. Schiza (Pulmonologist), and A. Bonakis (Neurologist). Honorary members of our Society include: Michel Billiard, Professor of Neurology, Thomas Roth, Professor of Psychology and Anthony Kales Professor of Psychiatry. Constantin R. Soldatos, Professor of Psychiatry in the Athens Medical School. In Greece, there are 33 Sleep Medicine Centres, widely distributed in the country. Currently there is no official accreditation for sleep specialists in Greece. Sleep Centres get a certificate of approval by a special committee of the Hellenic Thoracic Society. 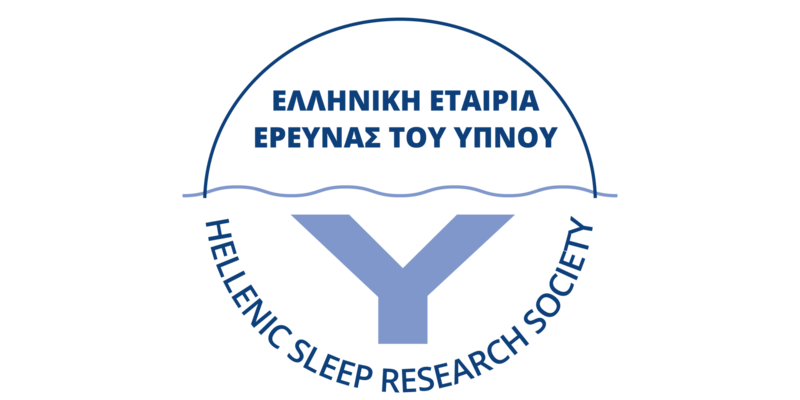 The Hellenic Sleep Research Society has organised three National Congresses on sleep disorders, as well as several national educational activities such as seminars, workshops, etc. participated in press conferences, TV and Radio programs. The main aim of these actions is to better inform the general public about sleep disorders, their symptoms and about the overall approach to them. To this end, the Society has also produced and distributed several booklets on sleep disorders. The Hellenic Sleep Research Society participates in the Assembly of National Sleep Societies of the European Sleep Research Society.